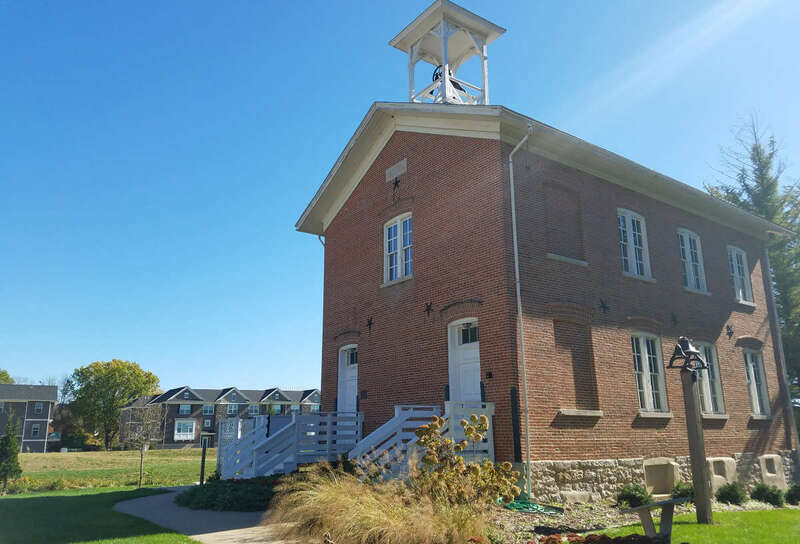 There is very little information available concerning schools in Coralville before the 1876 school. 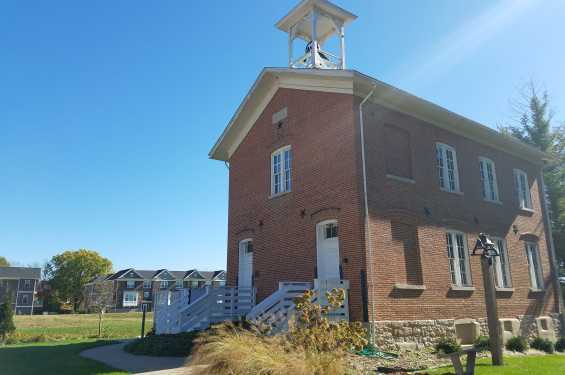 Mention is made in records at the State Historical Library of Iowa of a frame building in 1875, though little detail was provided except for the teacher’s salary of $35 a month.In 1876, the Ezekiel Clark family donated 1/3 of an acre for the school. The brick building boasted native limestone foundations and cast iron star clamps.Originally, classes were held on the first floor, while the second floor served as the gymnasium and auditorium. As the population increased, both floors were pressed into service as classrooms. Through the 1930's, enrollment averaged about forty pupils. A bond issue was passed to build a new school in the spring of 1948 with the first classes held in 1949. The 1876 school was closed, but by 1950 a burgeoning school population necessitated its reopening for seventh and eighth grades. In 1951, yet another school was built and the 1876 school became a warehouse. It was placed on the National Register of Historic Places in January of 1976.